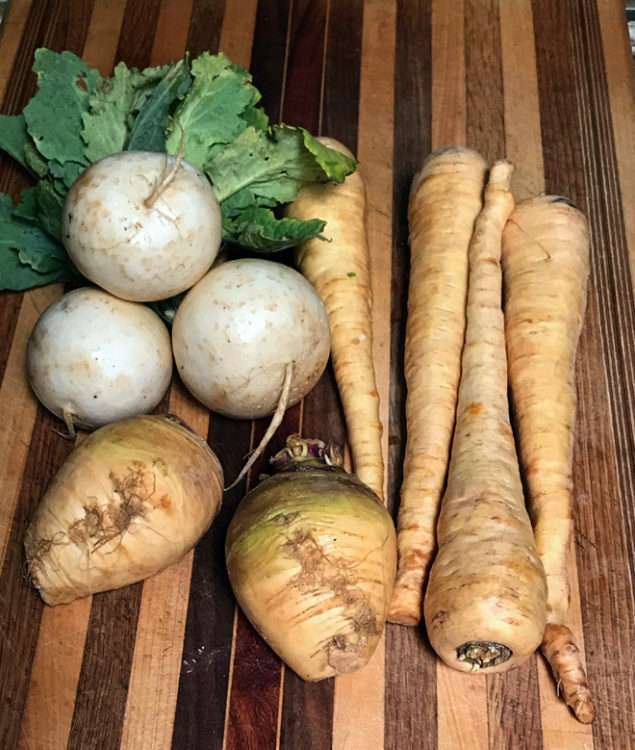 There are root vegetables that not only have I never cooked before, but I’ve also never tasted them before. Shocking, I know. 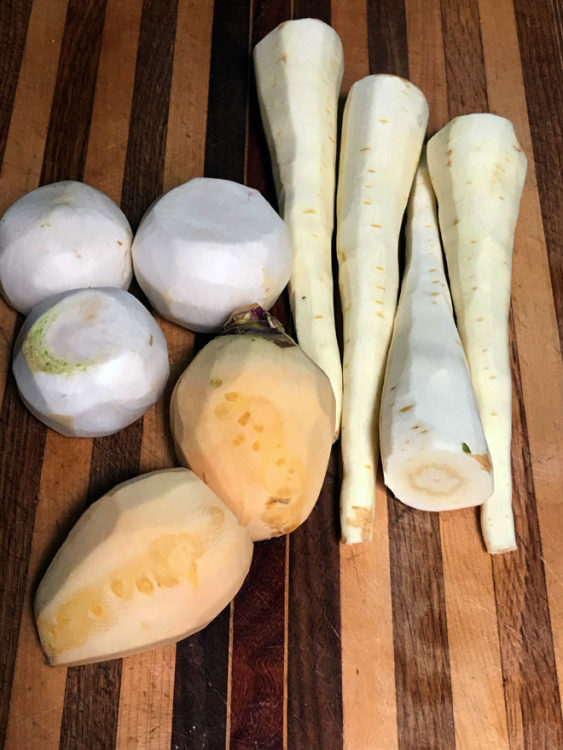 Two examples are rutabagas and turnips. I have never had them or felt the need to have them either. But when I was given a bag of each, well, I wasn’t going to throw them away. One of the visiting instructors at Les Gourmettes Cooking School had a family emergency and needed to reschedule her classes. It happens, no problem, except that owner, Barbara Fenzl, had already purchased all the groceries. I was the lucky recipient of the produce. I was excited and especially grateful for the watermelon radishes, broccolini and beets because I use those on the Crudités Harmony Boards. I was still grateful but much less excited with the rutabagas, turnips and parsnips. As far as root vegetables go, I prefer to stick to potatoes and radishes. I don’t’ like carrots and despise beets. Parsnips are okay, but the rest I happily pass by. So I decided to treat the trio as I do potatoes. 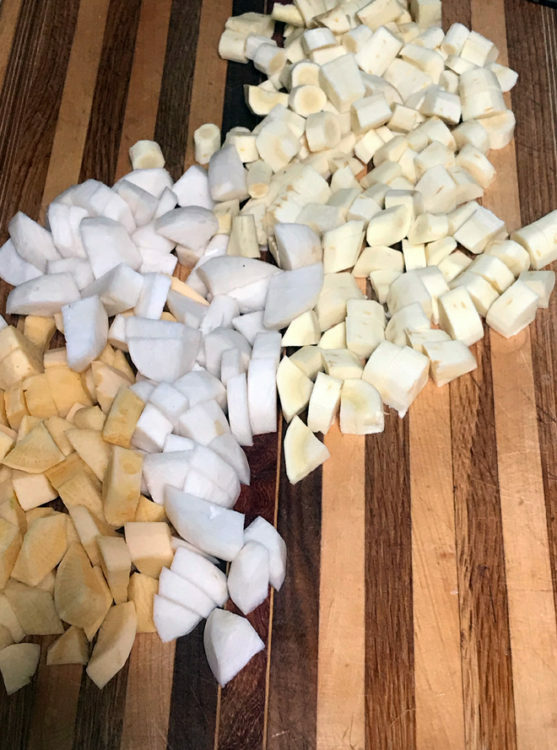 I peeled, chopped, boiled, and mashed them. Then seasoned them up and spooned them in a casserole, baked and then finished it off with some cheese on top. I’ve eaten the resulting dish for two nights in a row with sliced tomatoes and basil and you know what? Not bad, not bad at all! 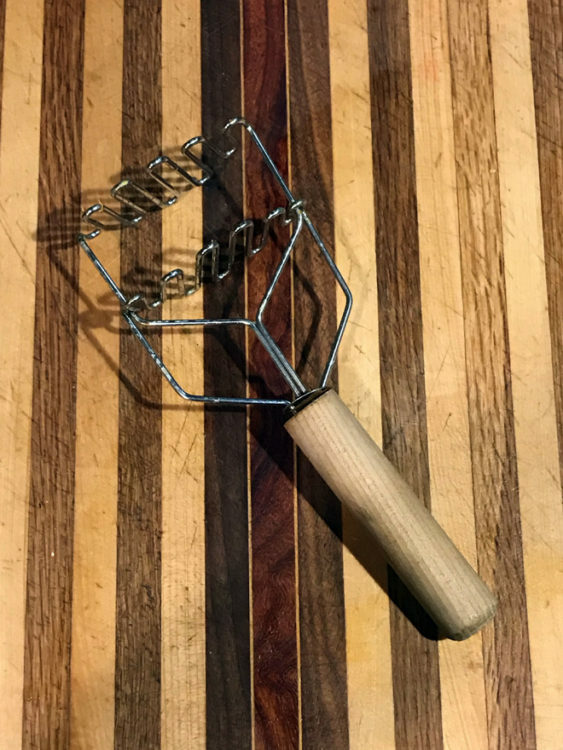 If you don’t own a hand masher, you should get yourself one, while you’re at be sure it is a double-action masher, here’s a Link.